From the 17th to 21st of November, Truman State University celebrated International Education Week, a joint initiative of the Department of State and the Department of Education, that gives individuals and universities the opportunity to recognize and embrace the benefits of international education and the global exchange of culture. 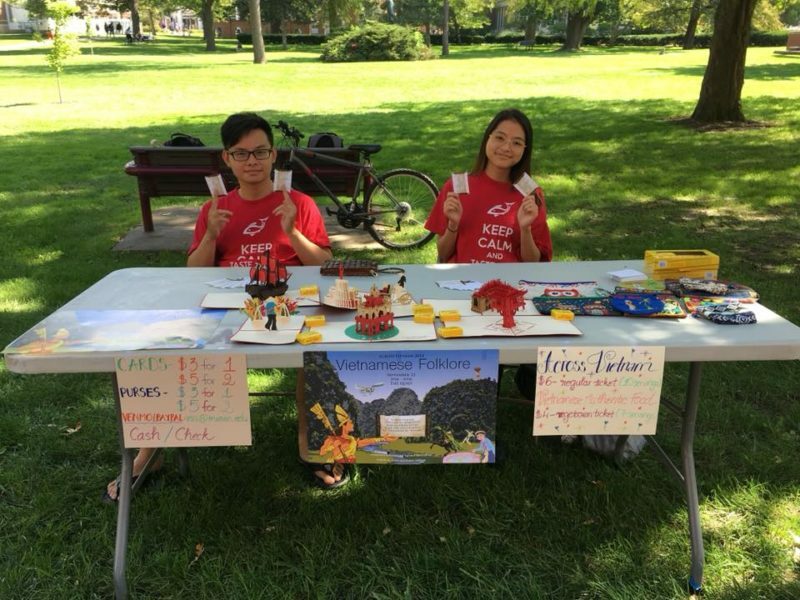 Thanks to the university’s international student organizations, such as the Society of Sino-American Students, International Club, the Vietnamese Student Association, and Namaste Nepal, activities were held each day of the week. 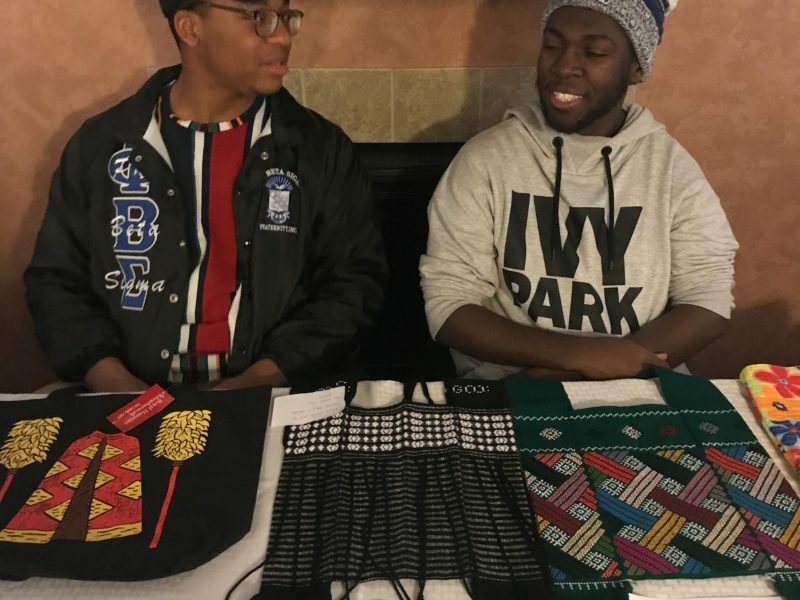 Here is a play-by-play of Truman’s International Education Week. Kicking off the week on Sunday was TSU’s annual International Idol, themed “Little World, Big Bond,” an event showcasing talent among our international student population. Teams and individuals put together a spectacular show that consisted of musical performances, dancing, skits, and even martial arts performances. At the end of the event, the audience and three judges decide the top three performers. This year the winners were – 1st place: Team Vietnam, with a skit and dance; 2nd place: Team Nepal, with a band performance; and 3rd place: Team India, with dancing and tabla playing. A special video was prepared to remind students about International Education Week and the importance of the sharing of culture on campus. International Idol is traditionally the biggest international student-led event of the year and a fitting way to begin the International Education Week. Monday was “Dress in Traditional Clothing Day.” International students were encouraged to wear traditional dress from their home countries to call attention to the diversity of the Truman classroom. 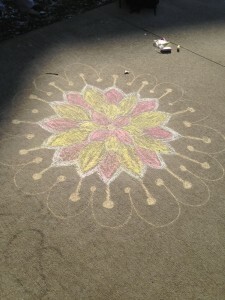 Tuesday was Rangoli Day. Rangoli is an Indian folk art, commonly used to celebrate Indian holidays like Diwali. Rangoli uses mediums like colored dust, flower petals, or beads to create simple drawings or geometric patterns, believed to bring good luck. The International Club supplied chalk and hot cider to students who came out to create Rangoli art on Truman’s sidewalks between classes. Wednesday was International Game Day, in which international organizations brought games from their home countries (along with some American games) for all students to come and play for a few hours of fun and casual interaction. The games enjoyed included Battleship, Chutes and Ladders, Sudoku, Carrom, Mah Jong, Gatta, and Chinese Chess. Thursday featured the final event, Open Mic and Karaoke Night, which featured several acoustic performances by international and American students. Following those, participants had fun doing karaoke to different types of music, as well as breaking out some “Just Dance” to get the whole crowd jumping! 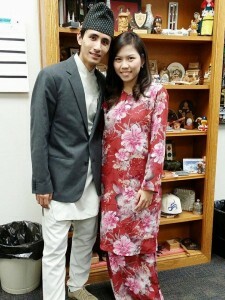 The diversity of participants included students from America, India, China, Nepal, and Vietnam. 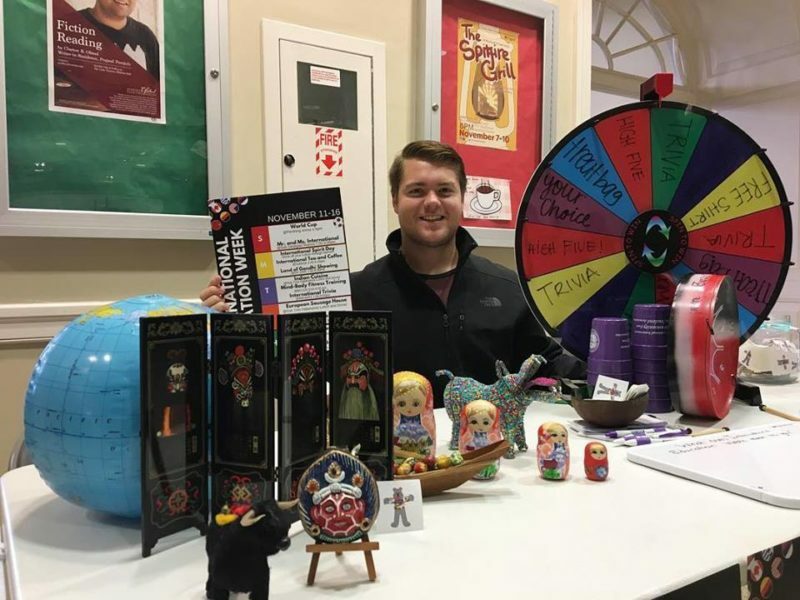 Throughout the week, Truman’s international student organizations staffed a fundraising table selling jewelry and food and promoting The Inclusiveness Project (TIP) by handing out buttons featuring a heart filled by international flags, hard candy from other countries, and cultural facts. For more information on International Education Week see http://eca.state.gov/programs-initiatives/international-education-week/. To learn more about the Truman Inclusiveness Project see the https://www.facebook.com/TrumanInclusivenessProject.